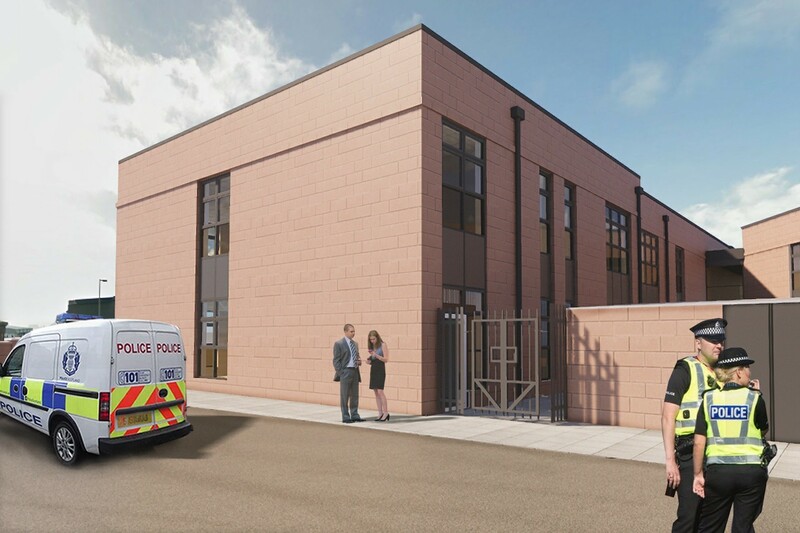 Aberdeenshire Council is to press ahead with a £1.5m extension to their Buchan House headquarters in Peterhead, with a new wing of accommodation to be leased to Police Scotland. 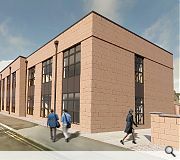 Robertson Construction is due to move on-site in mid-May for the 412sq/m build which will provide a shared administrative hub for the council and police on the upper floor, with the lower level reserved solely for the police. 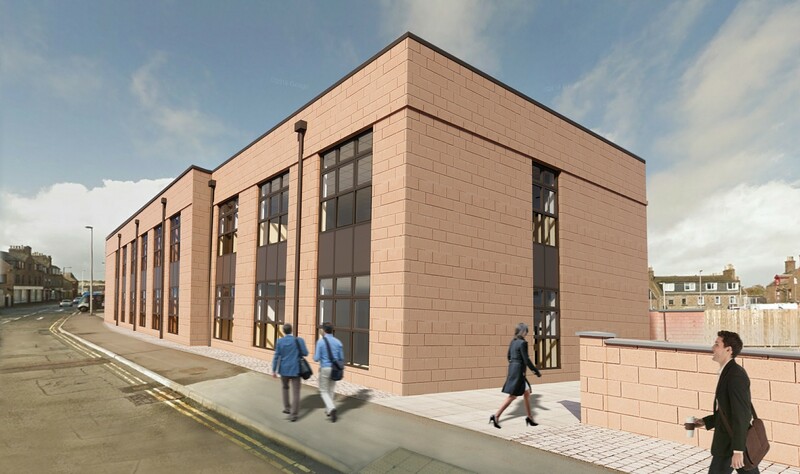 Architects Halliday Fraser Munro will achieve this by extending a current gable over an adjacent car park to the same design and materials specification as the existing building, connecting to it on both ground and the first floor. Completion is expected in January next year. Building of the year contender? Can't wait to specify banana rain water pipes on my next project! A trend setting evolution of our current nostalgia fuelled obsession for past architectural trends. 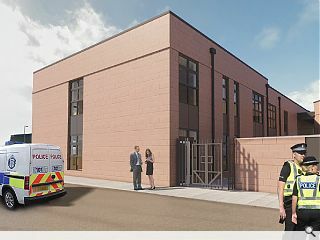 Not content with the recent resurgence of naff PoMo and clashing pastel shades in fashionable London circles, HFM are ahead of the curve with a mid-80s faceless business park theme replete with salmon pink blockwork and brown powder coated curtain walling. Nice work guys. Salmon forticrete and brown curtain glazing? Aberdeenshire Council are boldly moving into the 1980s here. I hope to see Hewi vinyl D-handle ironmongery and avocado sanitary fittings too. Marty McFly's going to feel right at home. Even with things I don't personally like it is usually possible to discern some kind of design ambition. Really difficult to see anything in this. This may be harsh but it leads to the conclusion that either the designer is hopelessly untalented or is working under overwhelming cost + resource pressures to the point where they have given up even trying to produce something decent. This sort of thing shouldn't be acceptable to clients, the planners, anyone really. @ #7 I think in this instance the client (Aberdeenshire Council) find it more than acceptable. Their chums at Robertsons are doing them a solid under their framework agreement and will have the designer / Architect just draw it up, "We're nae needing anything fancy ken!" Surely this proposal is against some (or all) ARB/ RIAS codes of conduct? I’m not even sure I’m kidding. Sometimes you just have to say NO. NO, even we (HFM) won’t put our name to that. NO. Where do you think the rodding eyes are?